Order in the next 3 hours, 22 minutes an 22 seconds for same day shipping. 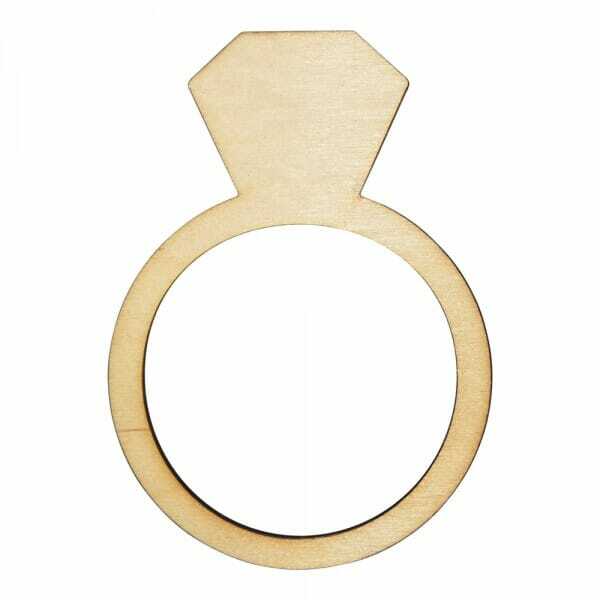 The wooden ring craft shape is laser cut from 3mm of Birch wood, displaying a flawless finish excellent for gluing, colouring or glittering. With the option of different sizes ranging from 25mm to 250mm, the wooden ring can be used for all art projects including wedding invitations or save the dates. Customer evaluation for "Craft Shapes - Ring"